Holly, ambitious and confident, temporarily occupies the bench of her recently deceased mentor. With an election upcoming, she must prove herself worthy of making her judgeship permanent. Every decision is high-stakes. Despite Crawford's obvious love for his child and his commitment to being an ideal parent, Holly is wary of his checkered past. Her opinion of him is radically changed when a masked gunman barges into the courtroom during the custody hearing. Crawford reacts instinctually, saving Holly from a bullet. 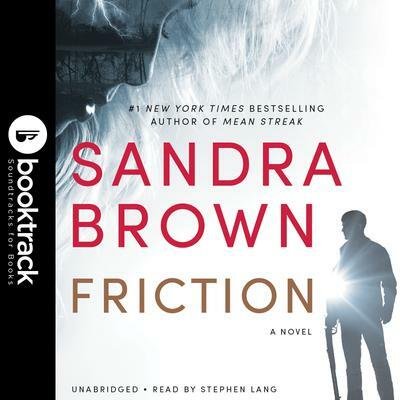 FRICTION will keep you on the edge of your seat with breathtaking plot twists and the unforgettable characters that make Sandra Brown one of the world's best-loved authors. It is an extraordinary audiobook about the powerful ties that bind us to the ones we love and the secrets we keep to protect them.